I can now confirm that the stealth Windows update that I blogged about yesterday actually exists - because I’ve detected its presence on a machine at the PC Doc HQ. Since early this year, Microsoft has been issuing periodic sales updates on Windows Vista. 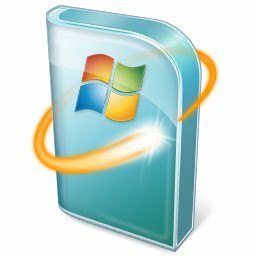 The most recent Vista sales pronouncement (released by the company at the end of July) was that Microsoft had sold 60 million copies of Vista. I’ve asked Microsoft to verify whether the 70 million number is real and was provided by its officials this week. No word back yet. The official comment, via a Microsoft spokesperson: “It’s not our policy to confirm the license figures.” Since Microsoft is not denying the validity of the info., my take is someone with Microsoft France spilled the beans. I’m betting the same caveat applies to Office as Vista: These are copies sold to the channel, not necessarily to customers. But still… If these numbers are right, means Office 2007 may be outselling Vista. At the very least, it’s keeping up, neck and neck, with it. Just this week, market researchers wtih NPD noted that Office 2007 was selling like crazy through the shrink-wrapped/retail channel. Microsoft officials have said that 80 percent of Vista sales are coming through OEM preloads. That percentage for Office is substantially lower, but Microsoft has been working on programs to try to convince more PC makers to preload its Office 2007 suite. Have you upgraded to Office 2007 without moving to Vista? Any plans to do so?